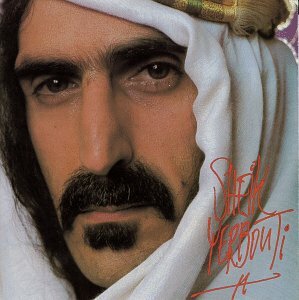 Sheik Yerbouti. Haha! still have that one in my vinyl collection. The Lebanese in him really comes out in this pic. My favorite Zappa album is Apostrophe. Haha! And the Lebanese really comes out in Paula Abdul if she were wearing a belly dancer's outfit. By the same token, steely eyed Charlton Heston, one of my favorite Scotsmen, didn't look too convincing dressed up as Moses in the Ten Commandments. I'm also Lebanese, but you'd never guess by looking at me. I'm more like an aging Tony Danza. Edited 1 time(s). Last edit at 13/11/2006 08:14PM by 90130_. That's not suprising, there were a lot of North African and middle-Eastern invasions of Europe, especially Spain. A lot of Hispanics tend to look a bit mid-Eastern and vice-versa. What does it really matter though, we're all wonderfully human. I celebrate our diversity, even if in a rather twisted manner. Diversity is cool when all of us pull together as Americans, and still enjoy our individual heritage. Waxing philosophically, I think God made us all different on purpose as an experiment or for his personal amusement. Much akin to placing red and black ants in a mason jar and shaking it to see if they'll fight. Now back to my brandy. LMFAO, I'd expect that from you.